MAGNUM CAST is the ideal film if you are looking to down-gauge an application or desire very high pre-stretch. This film is a high-performance, cast co-extruded film made from high technology resins. Optimum performance is obtained when pre-stretched to levels of 250% to 300%. When applied at high pre-stretch, Magnum is a differential cling film. 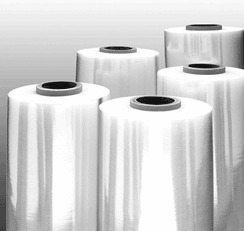 The enhanced strength and stretch characteristics mean minimum film usage while providing maximum load-holding on less demanding loads. Down-gauging not recommended for heavy B or unstable C loads. MAGNUM CAST, down-gauge or increase pre-stretch and save, a simple cost-saving solution!